Introducing our deli clerk, Monica! You are here: Home / Blog / Introducing our deli clerk, Monica! 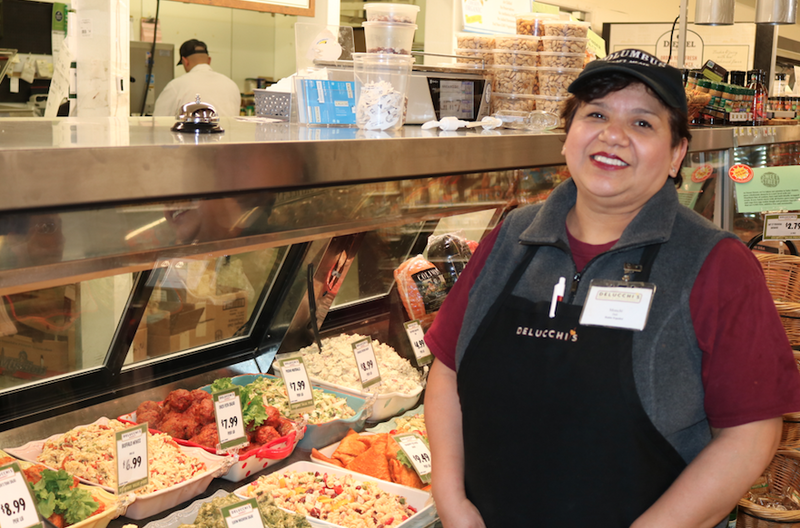 Meet our deli clerk, Monica! 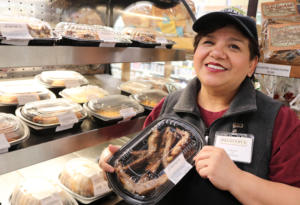 Monica Merino is one of the deli clerks at Delucchi’s. She puts together your catering orders, cooks the meals for our hot food to go section, and prepares deli counter items. She has contributed a lot to the growth of Delucchi’s. She has been here since we first opened our doors in 2014! Monica likes to create delicious items for the deli. A few of the recipes she has contributed are chicken salad, egg salad, tuna salad, and deviled eggs. Here at Delucchi’s we live by the Golden Rule and treat our customers and neighbors the way we want to be treated. That is why our employees will go out of their way to serve our customers in whatever way possible. We want to build strong ties with the neighborhood and give back the love we receive in loyal patronage. We hope you have enjoyed getting a closer look at one of our valuable team members. We appreciate all that Monica does for us, and for you. Please say hi to her the next time you’re in the store! NEW: Kombucha on TapLove Coconut Water? We have a great selection to suit you!